Publikace | doc. Mgr. Anatolij Vasiľčuk, CSc. Od roku 2003 bylo vydáno 21 mých monografií věnovaných eniologii a enioanatomii jemnohmotných těl člověka. Tato díla vznikla na základě dosavadních poznatků parapsychologie, psychotroniky, eniopsychologie, anatomie, psychologie, pedagogiky a dalších oborů. Obsahují mnoho dosud neznámých a zcela nových pohledů a poznatků v oblasti enioanatomie jemnohmotných těl člověka. Chci i touto cestou poděkovat všem, kteří mi byli a jsou nápomocni při realizaci monografií. The majority of information dealing with enioanatomy and subtle bodies is new. This book offers an unprecedented enioanatomic description of energy-informational substances, subtle bodies, holographic integrations of subtle bodies, chakras, Sushumna, Merudanda, Ida, Pingala, star channels, meridians, micro-channels, biologically active points, anastomotic junctions, subultrachannel networks, universal and specific life energy-informational bioplasms, energy-informational mutual exchanges, their structure-functional states, operating modes, functions, functional potential, their implications for human beings, and much more. The book introduces methods of developing subtle bodies and chakras. Human subtle bodies are presented and explained as being the energy-informational foundation for our spiritual development, PSI-phenomena development, PSI-phenomena healing, biolocation, out-of-body projection, and eniological disciplines concerning human beings. The monograph is intended for people skilled in PSI-phenomena abilities, PSI-phenomena healing, and specialists from all eniologic fields engaged in human research, such as enioanatomy, eniophysiology, eniomedicine, eniopsychology, eniopedagogy, eniospiritual upbringing, education, and development. Among various practitioners finding the book useful are physicians, healers, psychologists, practitioners of psychotronics, parapsychologists, spiritual teachers, pedagogues, educators, trainers, theologians, and people striving to develop their subtle bodies, their spirituality and PSI-phenomena. presents enioanatomical information which should be used in the practice of diagnoses, monitoring, evaluation, and prognoses, in scientific research, and in pursuit of new data relating to subtle bodies and their forms, structures, inner architecture, topography, functions, and functional potential. 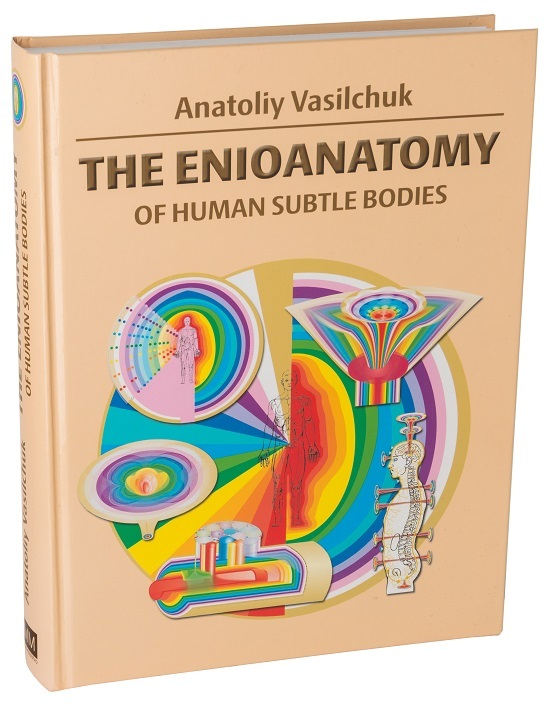 On the whole, the monograph presents enioanatomical information which is relevant to the universal development of subtle bodies, to the integration of upbringing, education, development, healing, and regeneration, to the practical implementation of developed PSI abilities, and to the attainment of absolute health, longevity, harmony, and a life free of pain, suffering, and crises.